Click on the title or picture to access the link. Want to learn more about JCS? Click on this link to get general information about JCS and the programs it offers. Check the school website regularly for important announcements about classes, sports, and events. You should check Canvas daily for assignment information and important announcements. All work assigned in a learning period needs to be completed and turned in before the end of that learning period. Here are the start and end dates for all of the learning periods during this school year. 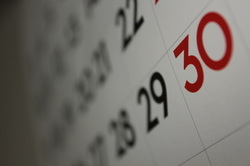 The school calendar contains information about important events, holidays, etc. The link above will take you to the Turinitin.com site. Click on the link below if you want the class id and login information.